Born on 5 April 1973 in Modena, the artist Roberta Diazzi graduated in 1992 from “A. Venturi” art college, specialising in graphic techniques. From the very start she understood the importance of the act of painting in the search for instant visual communication: the creative brush strokes of her oil painting give her works the great expressive impact that has since become her signature.. This signature, which connects to her most celebrated quality, truth, materializes itself through the texture of her canvases in the extraordinary effect of a very personal post-modern style of art. Even with explicit references to the great masters, including those of the recent past, Roberta Diazzi manages to retain her own stylistic and expressive code. A code that can be traced back to the great artists of the international Pop Art movement, above all in the choice of colours: Andy Warhol with the mass production of his artwork, and Roy Lichtenstein with that original style based on comics. 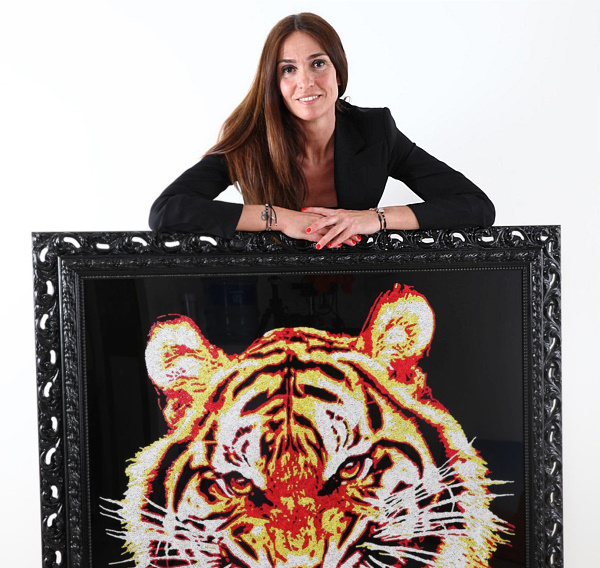 It is this artistic mix that has made Roberta Diazzi’s works successful. It is not by chance that over the course of these years of intense activity she has received important commissions from illustrious Italian families, struck by the quality: those worth mentioning include the Ferrari family, the Montezemolo family and Luciano Pavarotti. She has worked for several years at the Principality of Monaco, where she received awards from Her Princess Caroline, who has the work “l’œvre pop de Monaco” in her personal studio. 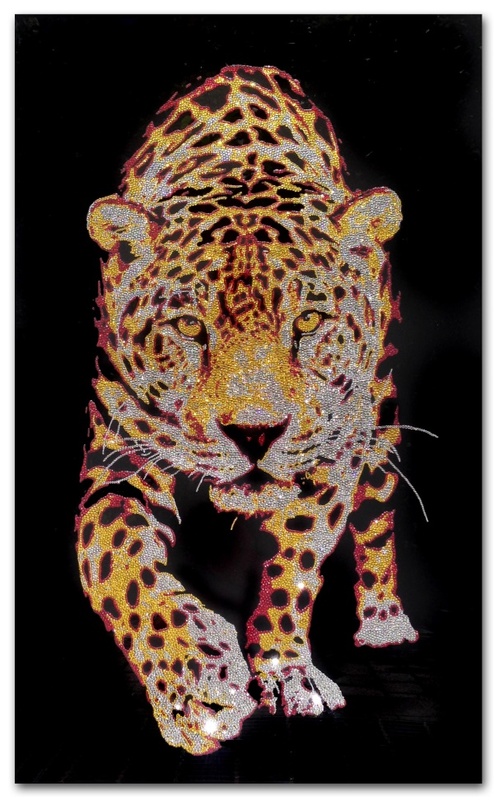 The artist has created works with Crystals from Swarovski®, specially conceived for the production of works with backgrounds fully covered with the original crystals from the Austrian company. Last but not least, the collaboration with Luxor Gioielli: the portrait of Peng Liyuan, designed for a short exhibition at the Show Room of the Italian company in Shanghai, subsequently became part of the private collection of the Chinese First Lady. That said, this artist from Modena is a thoughtful and eclectic painter: she often paints urban landscapes and vistas, showing signs of globalisation and the mix of artistic cultures typical of contemporary Neo-Pop, and which she, as a dynamic and sensitive artist, captures completely. The result is therefore a picture in which the harmony of contrast combines with the appeal of the artistic style, giving the viewer the privilege of things done aesthetically well.